Screenplay coverage is a fantastic tool, but nothing beats one-on-one with a CI story analyst. It’s a terrific way to work through story problems, figure out what’s working and what isn’t in your writing and clarify your ideas. Writers come away empowered and excited, with a clear idea of how to get to the finish line. Schedule a phone or Skype call! There’s no better way to work out a story than by talking through it. Many of our clients send us their outlines or treatments, and then they work with us to develop and flesh out their story and find the things that work and the things that don’t. It’s a lot better to fix these problems in the outline stage than to have to rewrite a big chunk of the script. 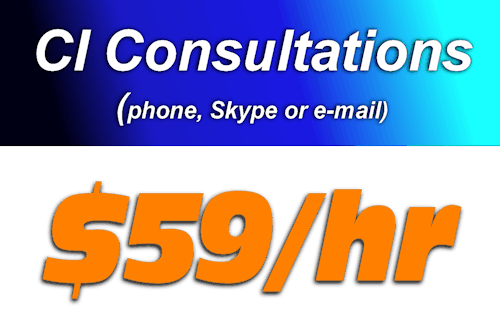 Our phone consults are a reasonable $59/hr (1 hr minimum,) and how you use that time is up to you. Want to put 10,000 volts into your writing? Mentor with one of our CI Story Analysts. With a CI Mentorship, you’ll work one-on-one with one of our senior story development pros for as long as you like to shape both your material and your craft. We will set up a series of phone or Skype calls (as many as you feel are necessary) to fit your schedule. We can jump in at any point from concept to 20th draft. Working with your CI Mentor, you will machete your way through any issues, questions or problems on the page. Your writing chops cannot help but evolve rapidly. When you’re ready for the champion-level training, give us a shout. Interested in a consultation or CI Mentorship? Send us a message using the form below for more info or to set an appointment. PLEASE NOTE: We do have to charge for reading time, but we can generally work out a package price for any client or situation.